Sesame seeds/Nuvvulu/ Til : 1 cup. Dry roast sesame seeds until golden brown in a heavy bottomed vessel. 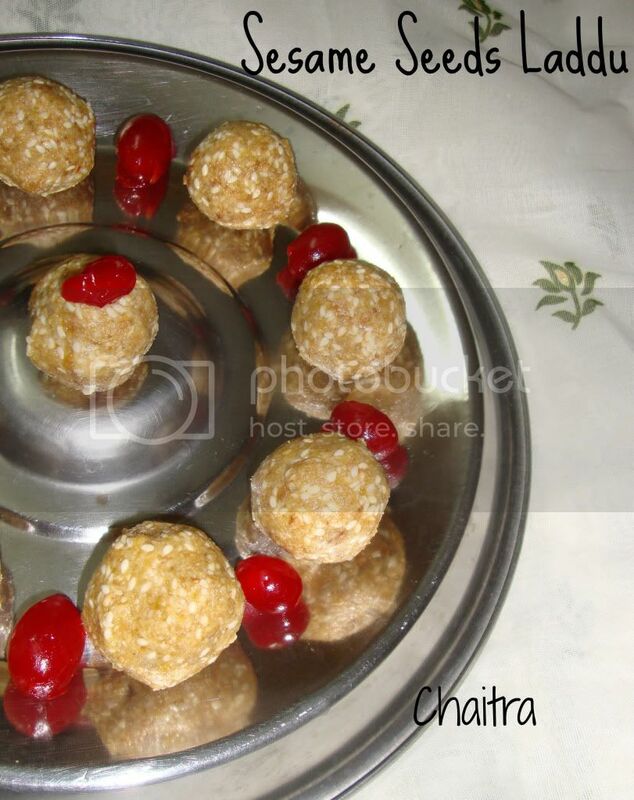 Grate jaggery and keep it aside. Dry roast 8-10 almonds and grind them into a fine powder. Grind Sesame seeds coarsely and then add Jaggery and almond powder. Remove this mixture onto a plate. 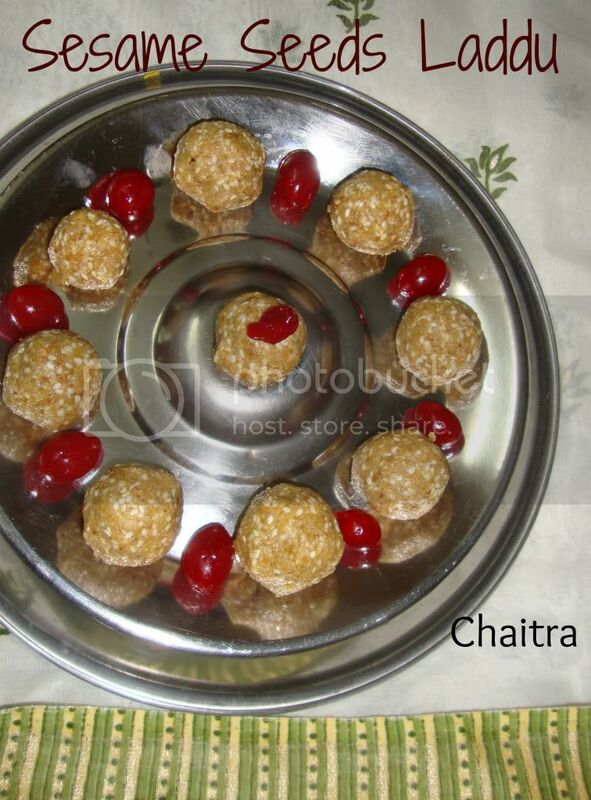 Apply ghee to your palms and make small balls. Store them in an air tight container. Firstly,let me wish all my Readers, friends and critics A very Happy New Year. Yippieee after 2 years i am logged in to post a recipe and still alive with people sharing their thoughts on my recipes. Thank you all for everything and Aathidyam is on air once again to play with taste buds and feature simple yet tongue tickling varieties. 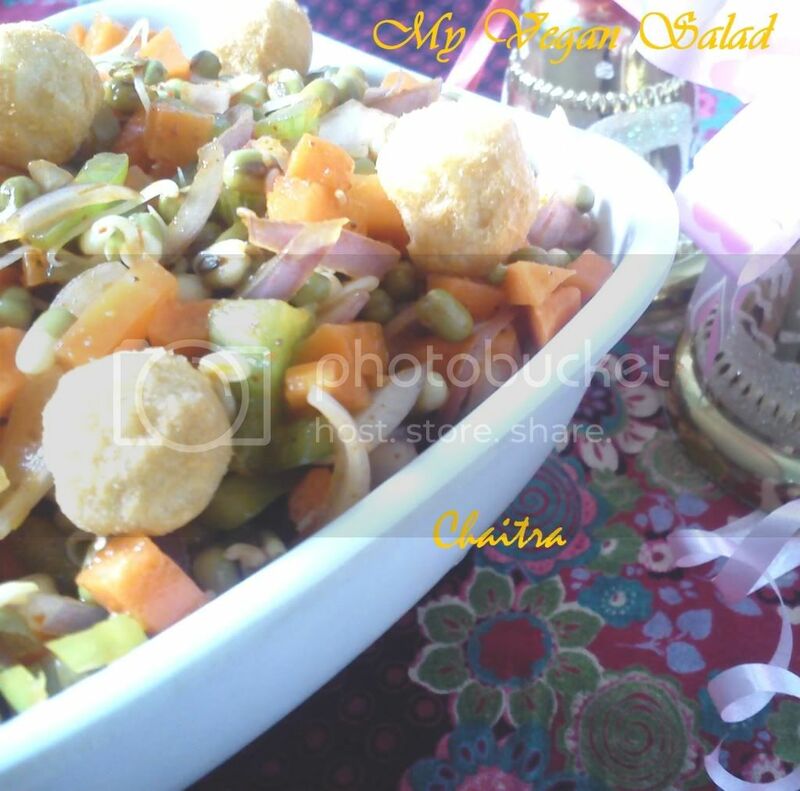 Coming back to Vegan salad..
Its a healthy Quick fix and you can prepare it in 2 minutes once you have all the veggies in place. 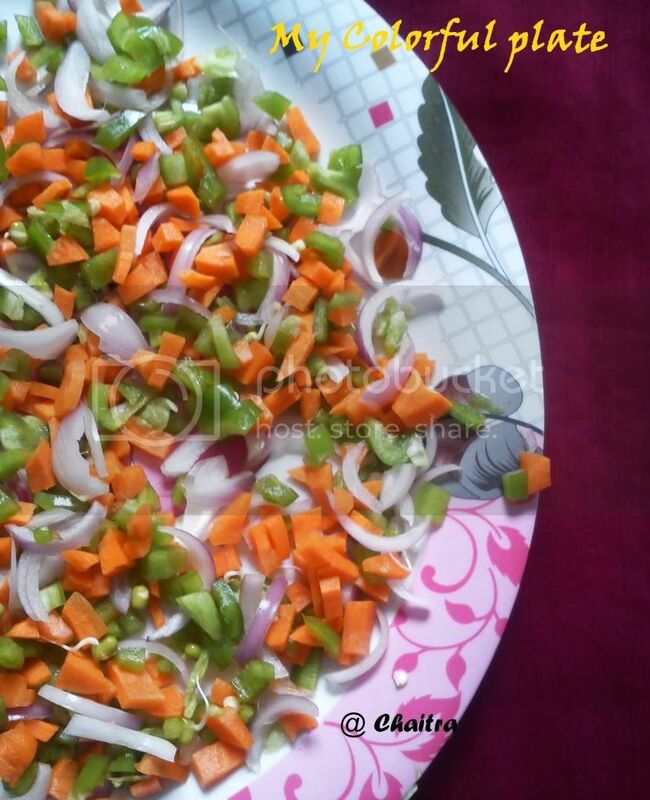 Chop carrots, capsicum, onions and green chilly finely. 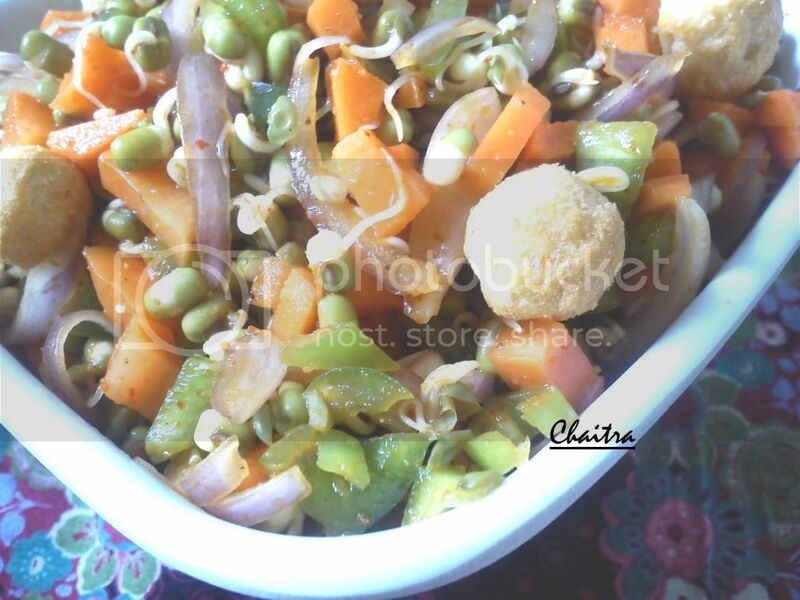 Assemble all these veggies in a bowl and add the remaining ingredients. Mix well and leave it for 10 minutes. So that the juices mix well and give you a juicy salad. You might be confused as to what is Pickle oil. It is the left over oil in you achaar ka dabba. I've used oil from Mango Pickle. If you do not have this Pickle oil, you can use Olive oil.